The Clematis | Just Shooting Memories! The previous owners of the property where I live enjoyed planting flowers, but not of the annual variety. So, every spring, I get to see many flowers blooming. The way they planted the flowers, there are blooms of different kinds, one after the other. 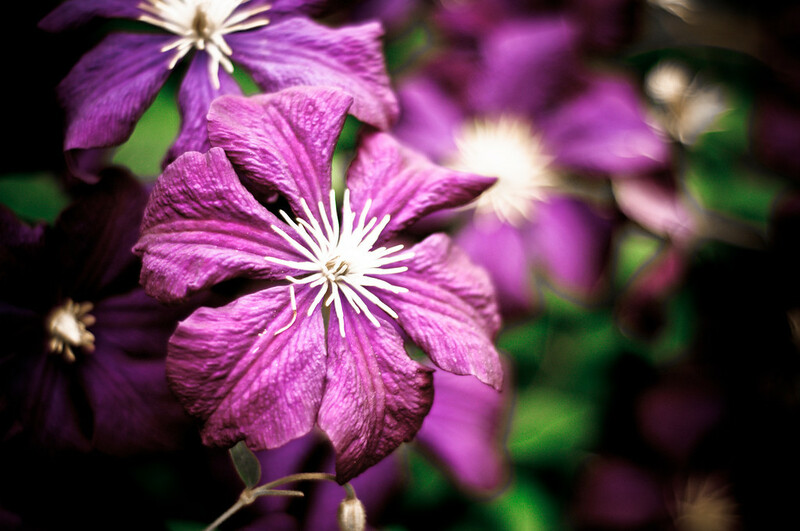 This is a clematis. It is neat to watch it grow every year from under the ground, flower and then die off in the winter.